Why Flair Supplies Group is your first choice for printer ink cartridges and toners, plus so much more. 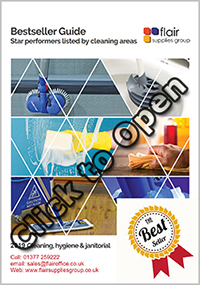 We supply Printing consumables for all the major manufacturers, in most cases you have choices to cover all budgets. Genuine products (Also known as OEM), compatible inks and toners and remanufactured versions. These aftermarket products can save you up to 75% against the price of genuine ones, we have placed these products into 2 categories. which are remanufactured or very high-quality compatibles. these are low cost compatibles, the value range which are great for everyday low-cost printing. We also supply a vast range of ribbons and thermal film products at surprisingly low prices offering you very best in value for money. Need supplies for more specialist printers like Star, Zebra and Neopost? Not a problem. Hardware needs? we supply all brands of laser, LED and inkjet printers, but that is a “Coming Soon” section. Just give us a call on 01377 259222 and our friendly sales staff will soon have your printer on route. If you need any advice as to which brand and model you require, to fulfil your printing needs, just ask and we will be more than happy to help. 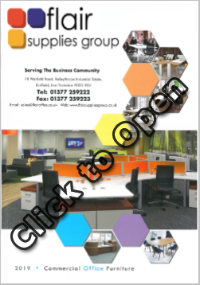 Register an account today with Flair Supplies Group to enable you to order online. 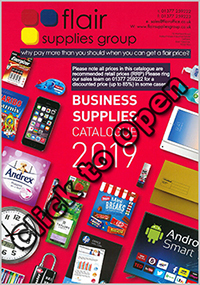 We have a selection of Catalogues that you can request. Contact our friendly team on 01377 259222 to discuss your company needs. Through our account managers and our on-line ordering system you can control your budgets and cost. Humberside, Driffield, Bridlington, Carnaby, Malton, Scarborough, Filey, Beverley, Cottingham, Brandesburton, Leven, Hornsea, Hull, Hessle, Willerby, Anlaby, North Ferriby, Melton, Brough, South Cave, Market Weighton, Shiptonthorpe, Pocklington, Stamford Bridge and York. Just remember, the next time you are thinking "Is there a local company near me where I can buy that from" just give us a call.